Ideally situated in the pretty little town of Tréboul, just a short distance from both the beaches and the wilder parts of the coast. Jean-Jacques Saounanet, a Breton born and bred, knows just what nature lovers need. 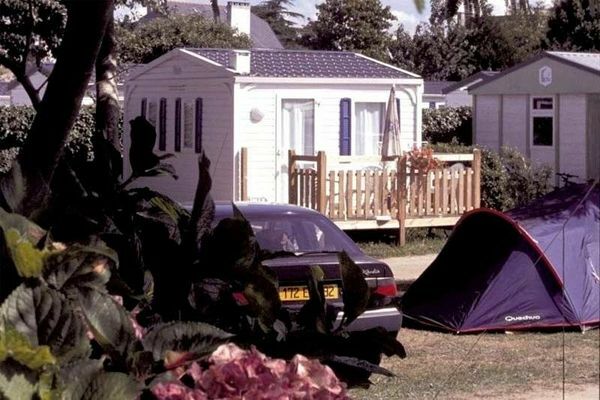 You'll find the Croas Men campsite in Tréboul, near Douarnenez, just 40 metres from Sables Blancs beach, looking down on the marina. The shops are just 600 metres away, and all the family can roam the beaches or the rugged coast either on foot or by bike. Jean-Jacques likes the family atmosphere: "We meet all the campers, we like to explain where the best walks are and how to find the best spots to see". He who says Tréboul or Douarnenez also says relaxing walks, carnival, market, sailing, old boats with traditional rigging.